On March 19, 2003, a 33-year-old man slept in his brother's flat in Block E of Amoy Gardens in Kowloon Bay complex of Amoy Gardens after his weekly kidney dialysis at the Prince of Wales Hospital. That night, he had diarrhoea. The next day, he returned to his home in Shenzhen, completely unaware of the dramatic course of events his brief stay would set in motion. The man had been infected with severe acute respiratory syndrome, or SARS, a serious viral diesease first identified in 2003. While he was suffering from diarrhorea, one of the symptoms of the disease, the virus had spread through the untended sewage system – a method of transmission, incidentially, which was only discovered by authorities much later. 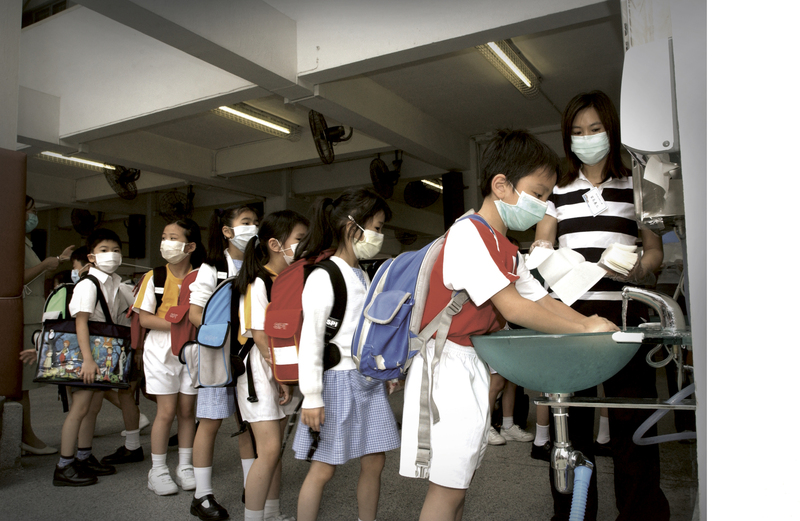 By the end of March, more than 200 residents of Amoy Gardens had been hospitalised with SARS. 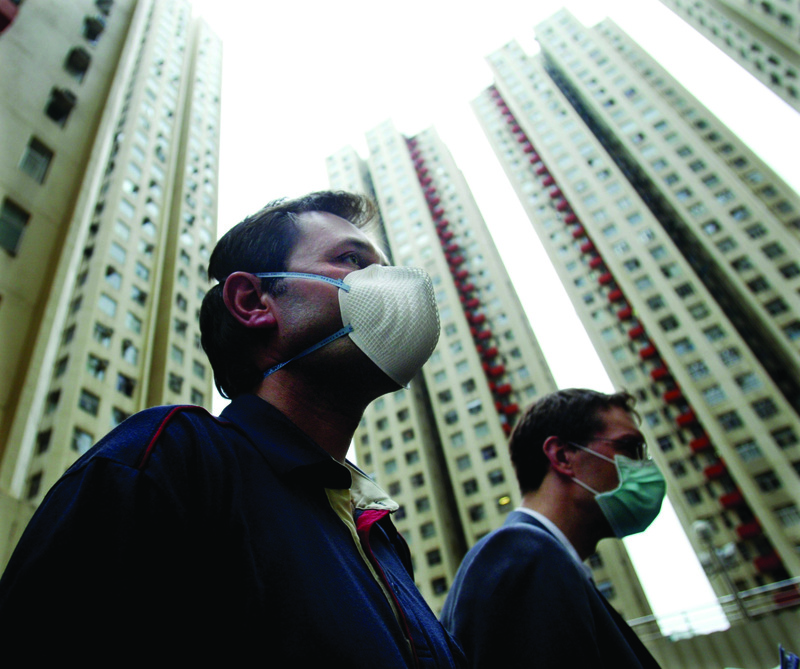 More than half lived in Block E. On the last day of the month, the government issued an unprecedented isolation order – a quarantine – to Block E residents to prevent the further spread of the disease. 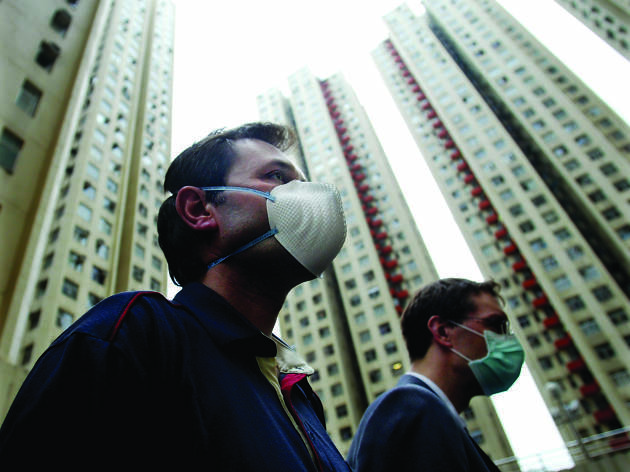 All the residents remaining in the block were moved into isolation in Lei Yue Mun Park and Holiday Village in Sai Kung. 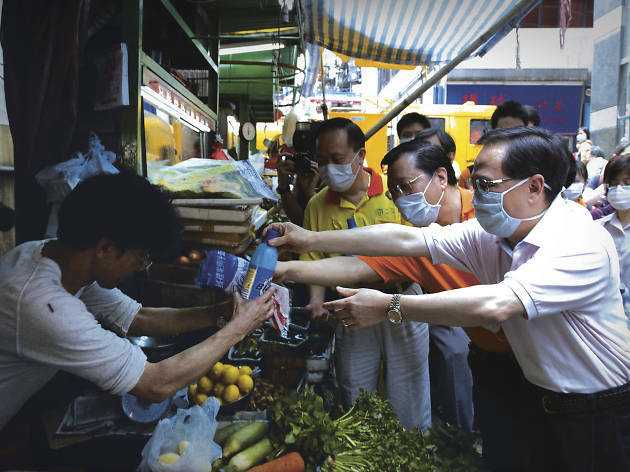 It was the now infamous Amoy Gardens that saw the most serious community SARS outbreak in 2003, with a total of 329 infected with SARS, almost 20 percent if the 1,755 cases across Hong Kong. 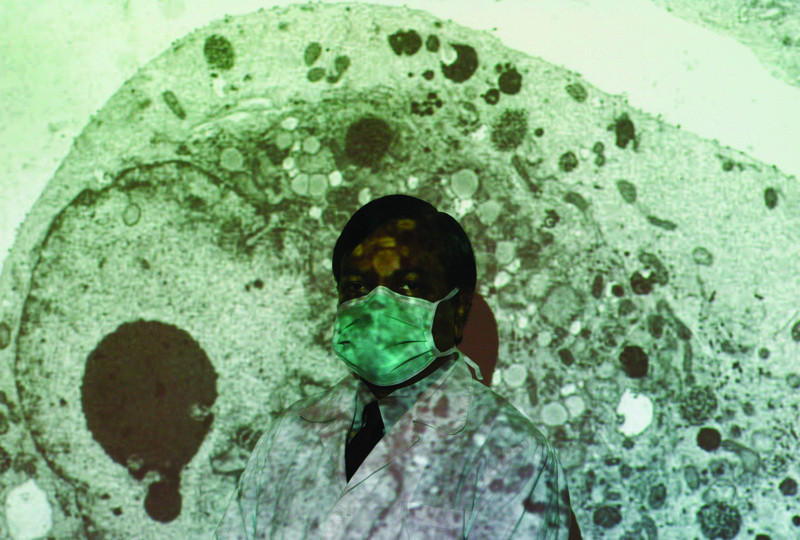 Globally, the disease would go on to infect 8,096 people, killing 774 across 29 countries. 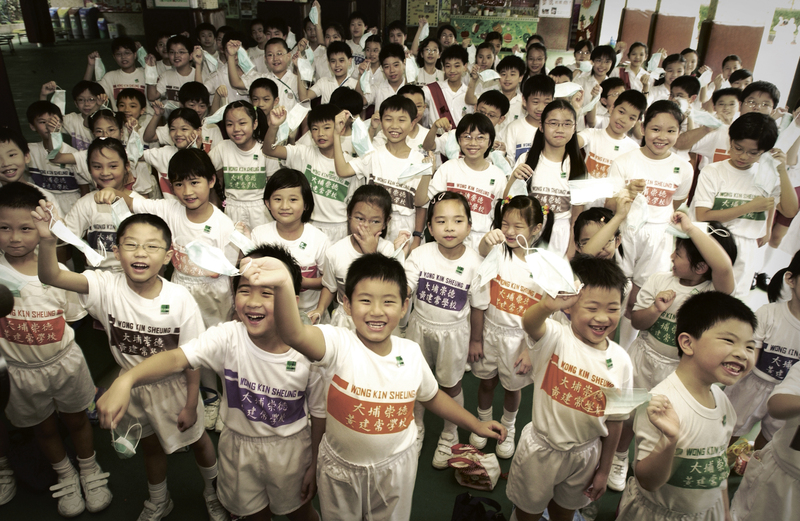 Mainland China, and in particular Guangdong Province, was where it all started. 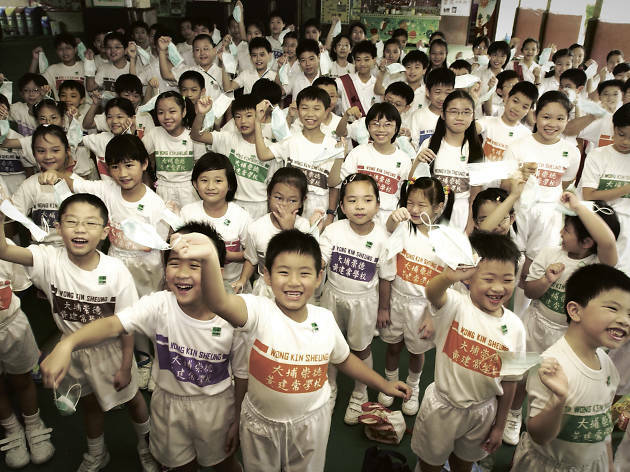 And to this day, many still wonder what difference might have been made if, after the initial outbreak in Guangdong, the government officials there had warned Hong Kong immediately about its seriousness instead of trying to play it down. 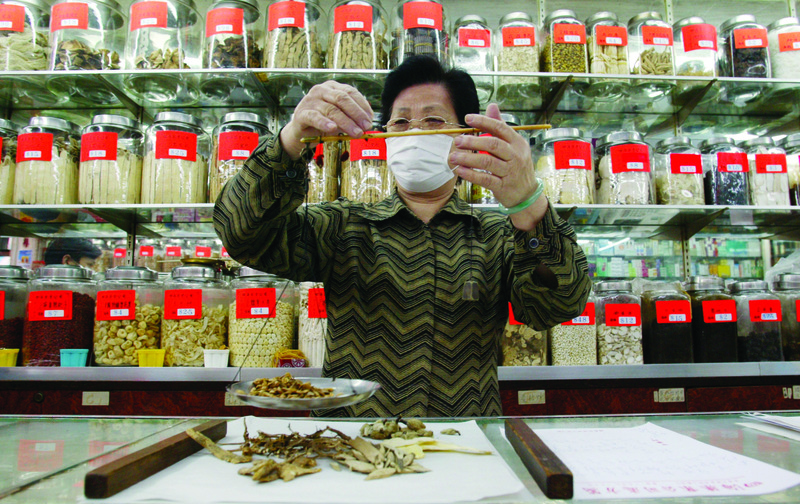 On February 11, 2003, Guangdong health officials reported a total of 305 cases and five deaths through SARS, but stressed that the disease had been largely controlled. 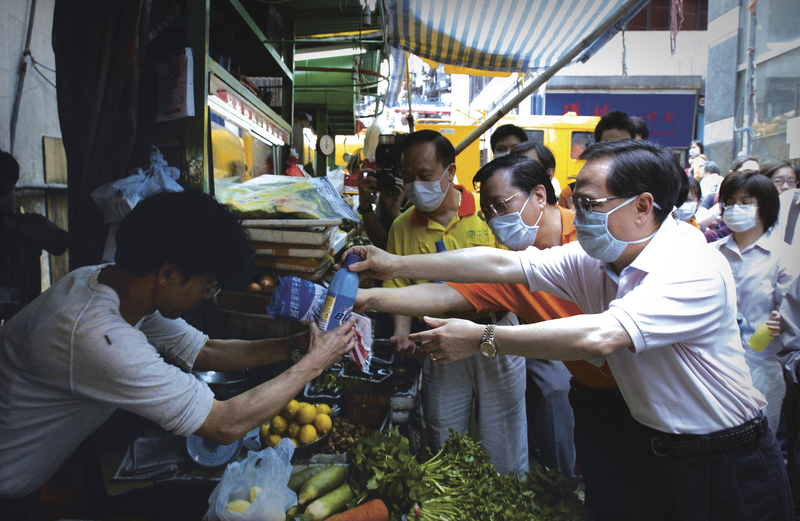 Ten days later, Liu Jianjun, a 64-year-old doctor who had been treating the 'Poison King', an early spreader of the SARS outbreak, visited Hong Kong to attend a family wedding. He checked into Room 911 at the Metropole Hotel in Kowloon and went sightseeing with his 53-year-old brother-in-law. At that time, he had already developed respiratory symptoms. Liu soon fell ill and sought urgent help the next day at the Kwong Wah Hospital, where he reportedly told staff, "lock me up. Don't touch me. I have contracted a very virulent disease." It was unfortunately, too late. It is believed that Liu had infected 13 guests at the Metropole hotel and those 13 guests went on to infect people in Vietnam, Singapore, Germany, Canada and our own city, according to the Centre for Disease Control in the US. Liu died on March 4. His brother-in-law died soon after. 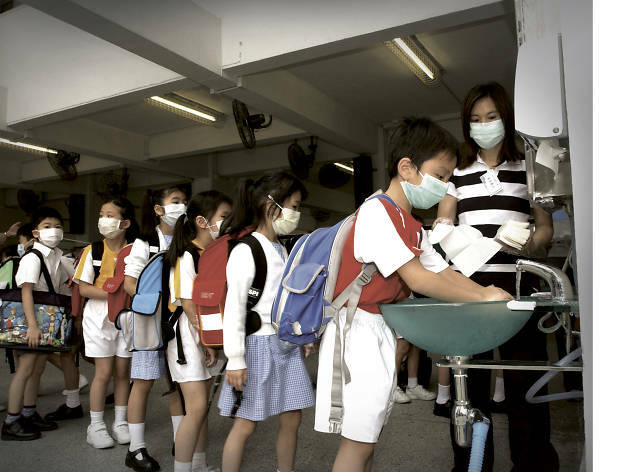 SARS was a new disease, not very well known by doctors and specialists. This was one of the major reasons why it had spread so rapidily in the city. Its symptoms varied and the conditions of the patients were volatile. In some cases, for example, doctors failed to identify infected persons because they showed no sign of fever, which, in usual cases, would be one of the key symptoms. On other occassions, symptoms in hospitalised patients would disappear completely, leading to the patient being released, only for the signs to suddenly return. There was also serious cross-infection in hospitals and communities after professionals had failed isolate the carriers of the viruses. By late June 2003, the worst was over. But in the immediate aftermath, the soul-searching began in earnest. 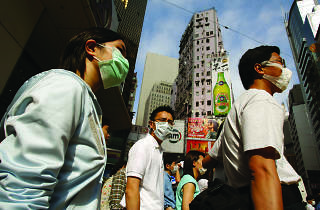 Inevitably, much of the enquiry focused on what many believed to be the primary cause of the three-month-long outbreak: personal and environmental hygeine. 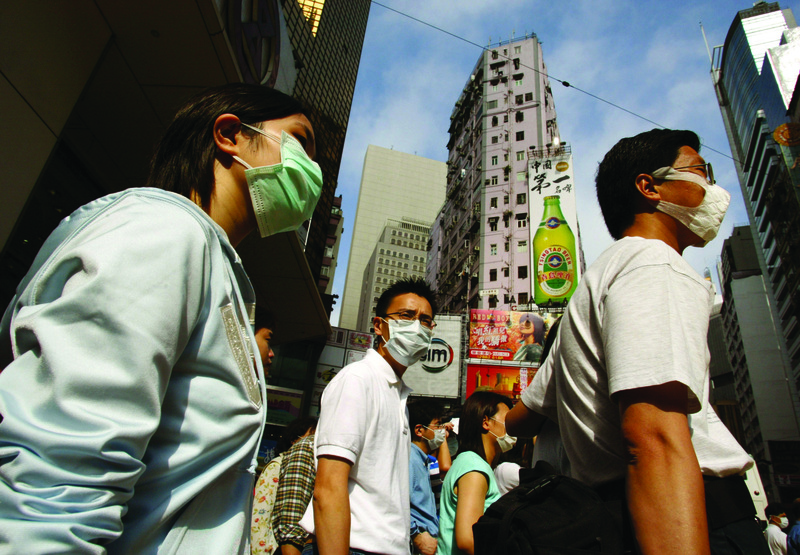 SARS left an indelible influence on the way Hongkongers approach hygiene, initiating a raft of the practices we would consider common today. Surgical masks, of course, are now a required accessory for anyone possessing even the most benign cough. Hand sanitisers are ubiquitous, gracing virtually every foyer of every building in the city. And even the widespread presence of protective foam wraps on karaoke microphones is a legacy of SARS. Yes, it's a paranoid post-SARS world in which we still live, but as we know from 15 years ago, ignorance doesn't always equal bliss. First known case of atypical pneumonia occurs but is not identified until much later. Five die and 305 cases in the first three months since the virus is first spotted. 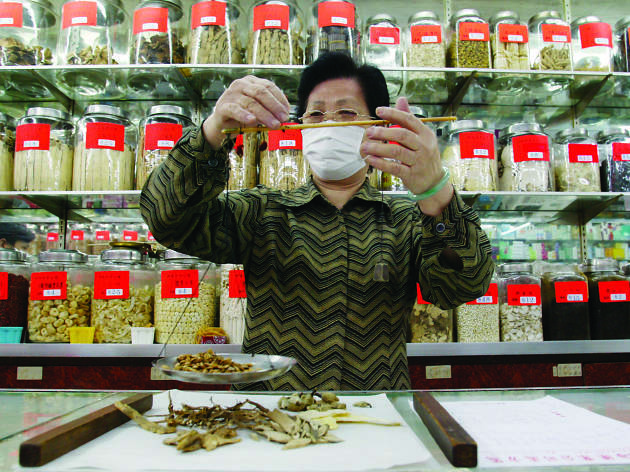 By the end of the epidemic, 5,328 are infected by SARS in Guangdong, with 349 deaths. 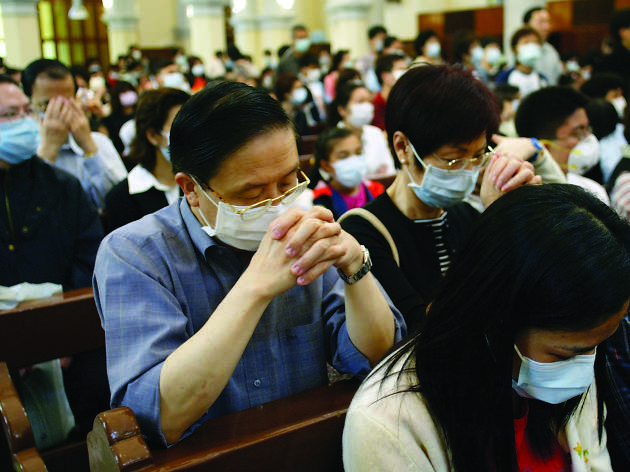 a 33-year-old Hong Kong man, who recently travelled to Fujian Province, dies of what is suspected to be SARS. 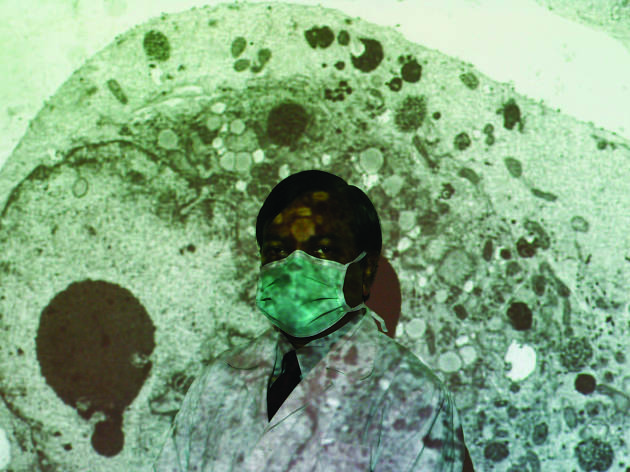 He is the first of 299 deaths and 1,755 infected with the disease. A 78-year-old female tourist contracts SARS before travelling from Hong Kong to Toronto. She later dies, one of the first of 251 infections and 44 deaths in Canada. A physician, after attending a medical conference and treating two SARS patients in Singapore, boards a flight to return to Singapore from New York, via Frankfurt. He is stopped in Frankfurt and becomes Germany's first SARS infection. In total, 10 are infected in Germany, none die. The USA confirms its first case of SARS in New Jersey. Of the 27 confirmed with SARS in the US, none die. 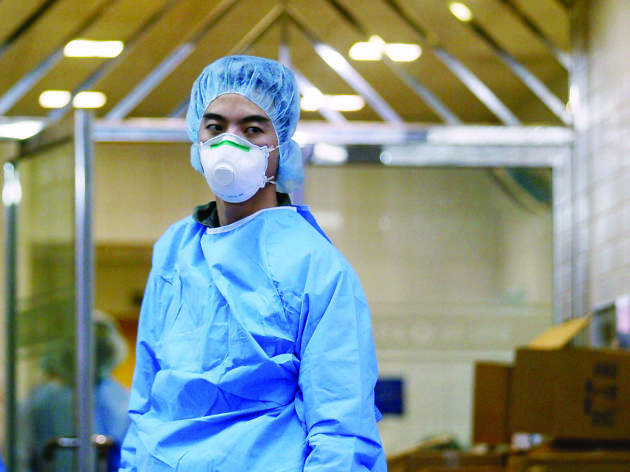 A French hospital worker contracts SARS in Hanoi before boarding a plane for Paris. Several others are infected on the flight. In total, seven are infected, one of whom dies. 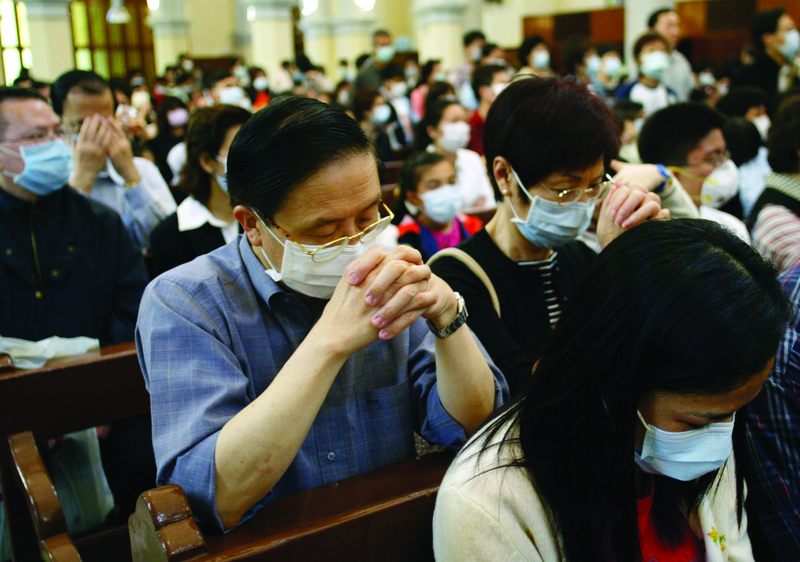 A man flies from Hong Kong to Pretoria, South Africa, and is later hospitalised with SARS. It is the only case in the country, but the victim does not survive. 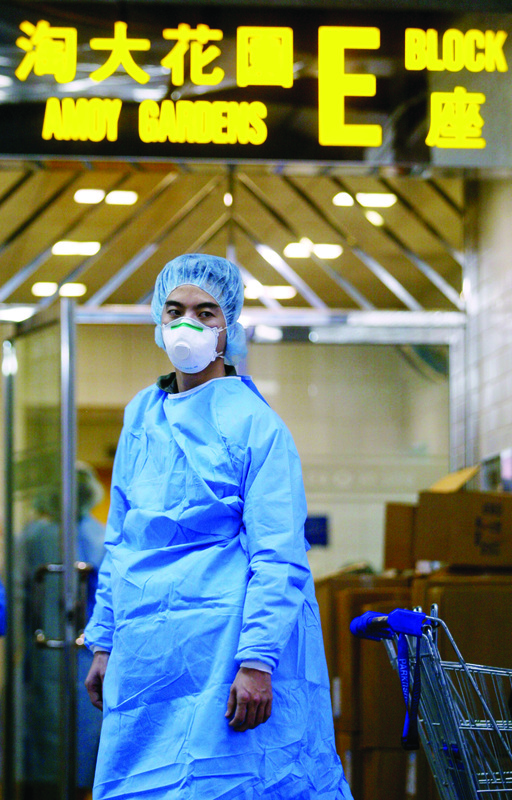 A Chinese-American businessman leaves Hong Kong for Hanoi, where he falls ill. He later dies after returning to Hong Kong for treatment. In Vietnam, 63 are infected; five die. 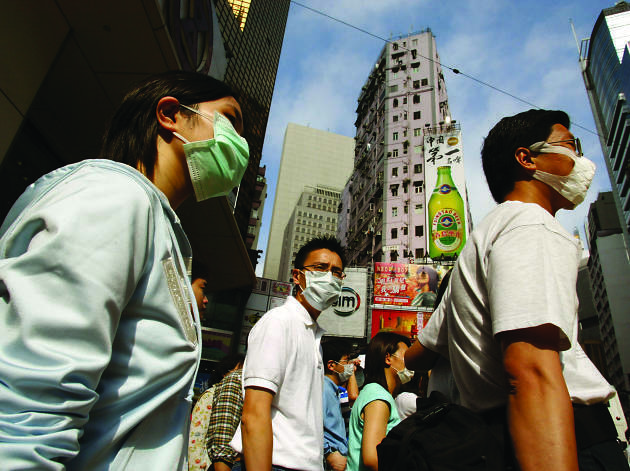 A German backpacker flies to Australia from Hong Kong and develops flu-like symptoms. In Australia, six are infected, none die.